NORTH EAST, Md. 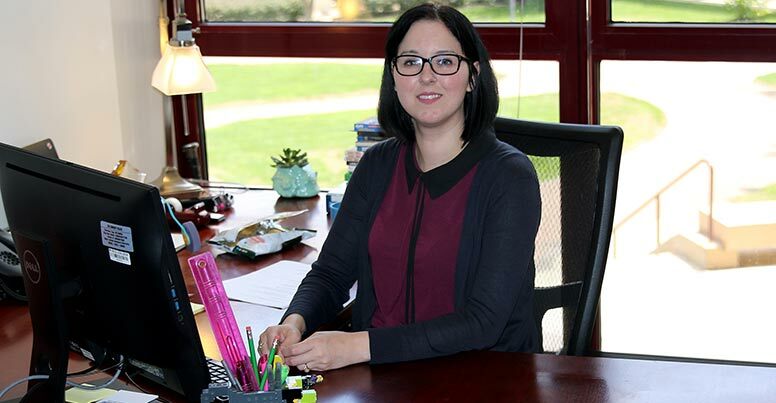 – Following a recent search, Cecil College is excited to announce the promotion of Amanda R. Demers to Director of Library Services, who will bring new and fresh ideas from the field of library science. A native of Gloversville, N.Y., Demers holds a Bachelor of Arts in Anthropology from Hartwick College and a Master of Science in Library and Information Science from Syracuse University. She began her career at Cecil College in 2016 as a part-time adjunct librarian but was quickly elevated to Librarian of Acquisitions and Cataloging. “As Librarian of Acquisitions and Cataloging, I focused on revamping our library collection. I took the lead on the installation of a new discovery system and online catalog that is more user-friendly for patrons and completed a giant weeding project. With assistance from faculty, we ended up re-evaluating a number of books that were either outdated or unrelated to the curriculum and needs of the campus. At this moment we have approximately 180,000 eBooks, 21,000 print books, and 64 databases,” said Demers. As she moves forward, Demers aims to have the College’s library evolve and provide services and technology that continues to suit today’s students and faculty. Demers currently lives in Delaware with her husband, Michael.